People are going nuts with the new iPad. Some hack it while others break it but we have this one team that actually plugged it into a Toyota Tacoma’s dashboard. Pretty neat right? It sure sends a great add-on idea for the car makers. We included the video which is very interesting. It seems that the iPad will be removable. 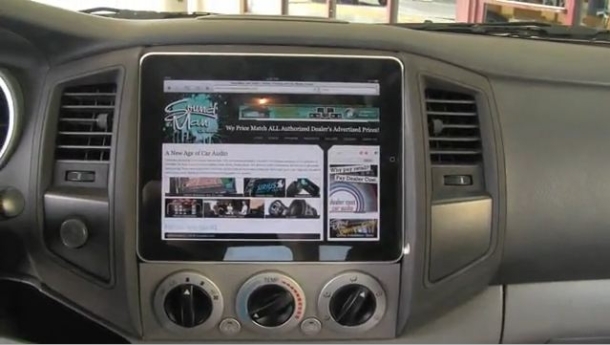 This application of iPad in a car goes well with the 3G iPad which is due to be released later this month, hopefully. A 3G enabled iPad will eliminate the need for a seperate GPS and even have online streaming or live movies too via Netflix app. Check out the video below to see the installation process. Next HP Slate price, config leaked!